The Largest Seafood Supplier in Northern Nevada. We offer a wide variety of live, fresh and frozen seafood, multiple species of fin and shell fish. Our seafood team has more than 100 years of combined experience working daily with fisherman, processors and importers. We locate the best quality and value. Our relationships and passion to procure the finest and safest seafood and sushi products from around the world. We source wild and farmed sustainable products and are conscientious of resources and our environment. We understand it can be hard to find a single supplier that can fulfill all your fresh and frozen seafood as well as sushi needs. This is why we continually strive to be your single source for all these needs. In this section you will find a list of some of the items we carry. It is constantly changing and being updated. If you have a need not listed herein, please give us a call. We can special order anything you might need. 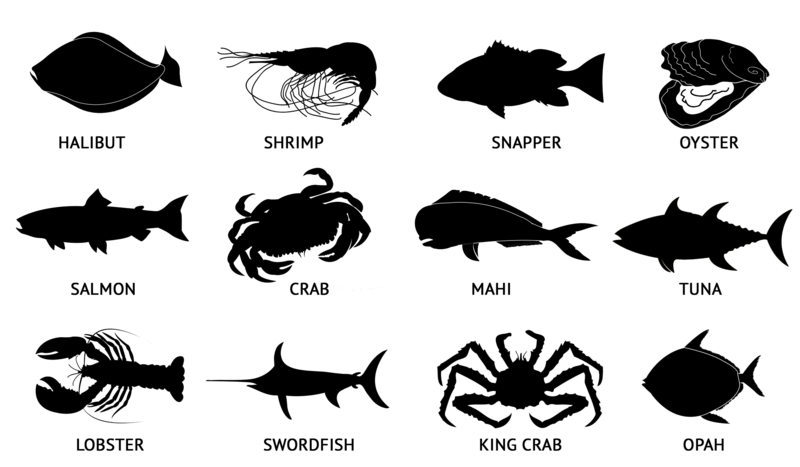 Click here for Fish Chart.